MANILA — World bantamweight champion Marlon Tapales will need to hand Shohei Omori a one-sided beating when they meet for the second time in Osaka on April 23. Brix Flores, Tapales’ coach, said his boxer will go for a knockout against the Japanese challenger to make sure that the WBO belt stays with the Lanao del Norte fighter. “Dayo tayo, kelangan at least one-sided ang panalo natin. Mas maganda kung knockout,” said Flores in a phone interview with ABS-CBN on Wednesday. Tapales stopped Omori during their first encounter in Kyoto, Japan, on December 16, 2015. He decked Omori twice, before stopping him 1:35 left in the second round. It was Omori’s first loss in 19 professional bouts. 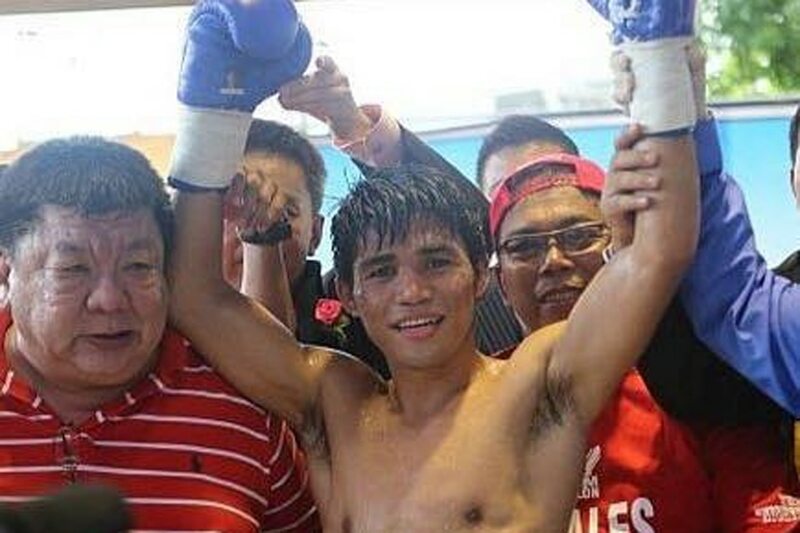 Tapales then went on to beat Punglunang Sor Singyu of Thailand, pummeling the 2-time world champion in the 11th round to seize the WBO bantamweight belt in Thailand last July. Flores said he is making sure that Tapales will come in prepared for his grudge match against Omori, who has strung together 3 knockout victories since his defeat. According to Flores, Tapales has already logged 100 rounds of sparring for his first title defense. Tapales has been training in Rex “Wakee” Salud’s boxing gym in Cebu. They will be flying to Japan on April 17, a week before the title defense.